I ran a few trips in venice over the last week and fishing was solid the whole time with a mixture of wahoo, yellowfin, blackfin and amberjacks. 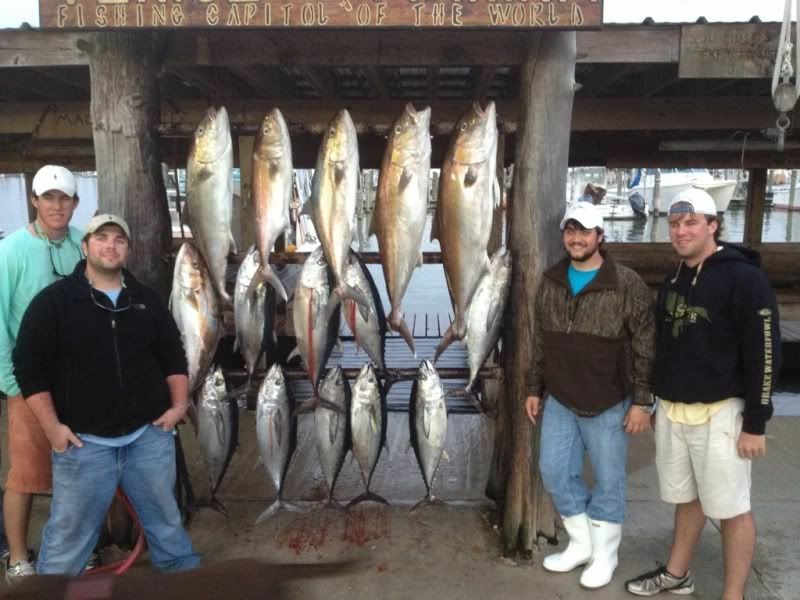 I started off with Eric and his crew and we hit up some chunking areas and quickly put a box of jumbo blackfin together. 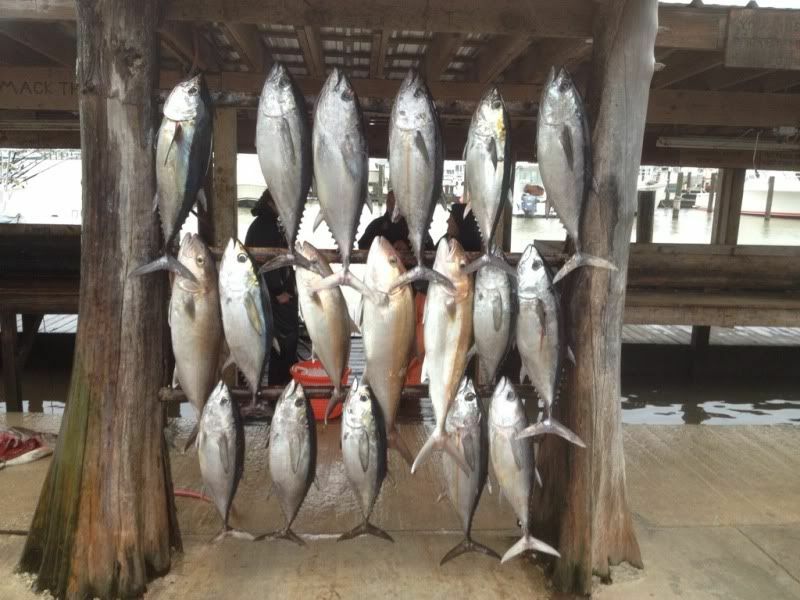 All the blackfin were caught on 80 pound frenzy flouro and 7/0 circle hooks. 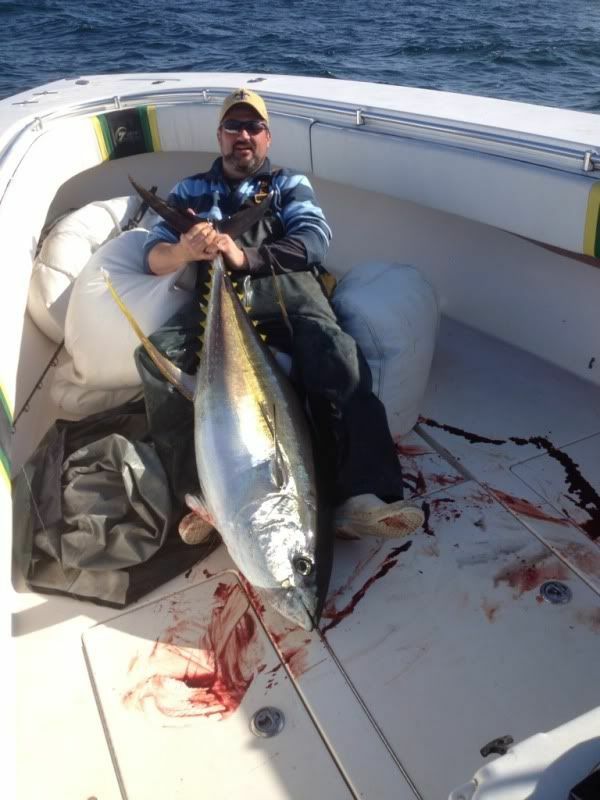 Luckily the kings and sharks werent too bad at first as we caught plenty of tuna. After we put our 10th blackfin in the boat and sharks got unbearable and we went looking for other stuff to catch. About 15 miles off the pass I ran into a bunch of yellowfin blowin up pogies but we never could get quite close enough to get a popper into them. Messed around with them for 45 minutes with no luck then headed over to a close in rig and let the guys jig for ajs. 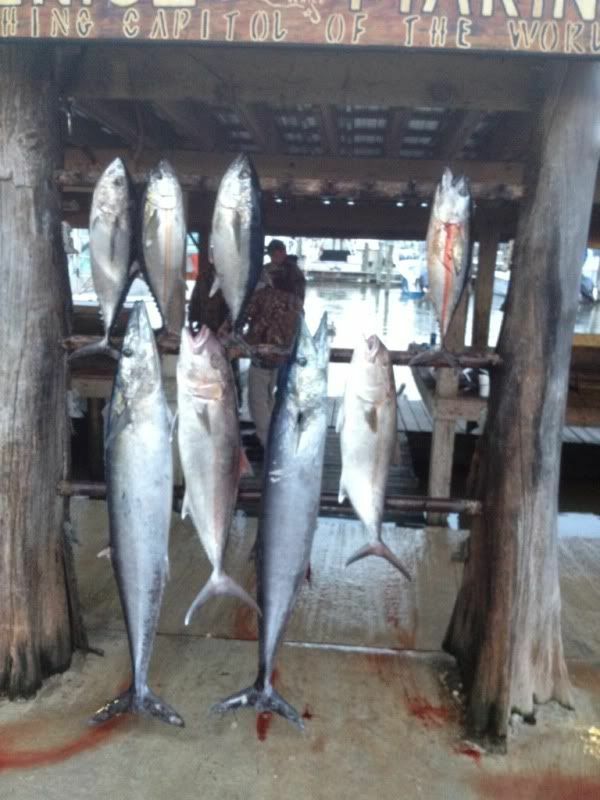 Didnt take them long to put a limit of six jacks in the boat on the jig up to about 35 pounds. We ended up the day with 10 blackfin and six amberjacks. Day two I had Gabe and his buddies on the boat. 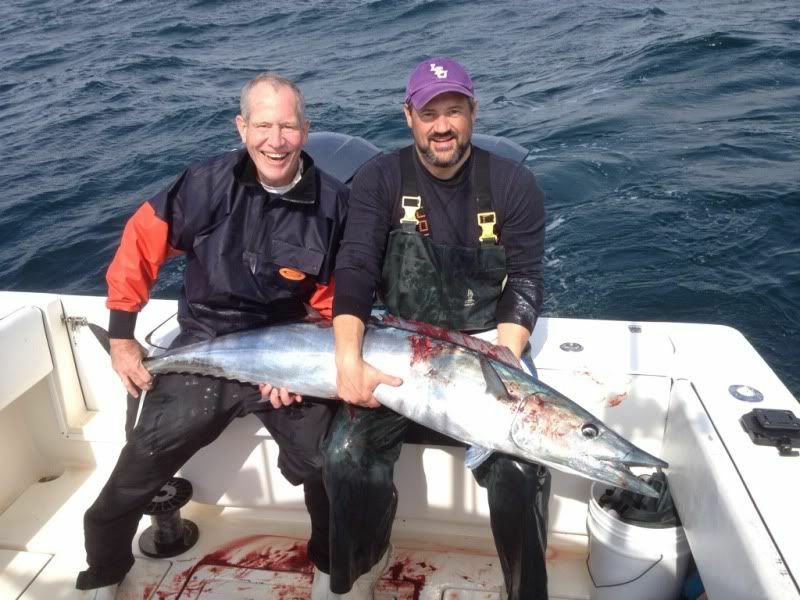 Early on we caught a wahoo and a couple blackfin on the troll before we headed over for some more tuna fishing. The current was ripping and it was hard to get a good slick going so we didnt stick with it long before we headed back to trolling. Added another wahoo and a couple jacks on the troll. Started dropping jigs and finished off our limit of ajs with the jig. Tried for another wahoo on the way in but all we got was a few more blackfins. 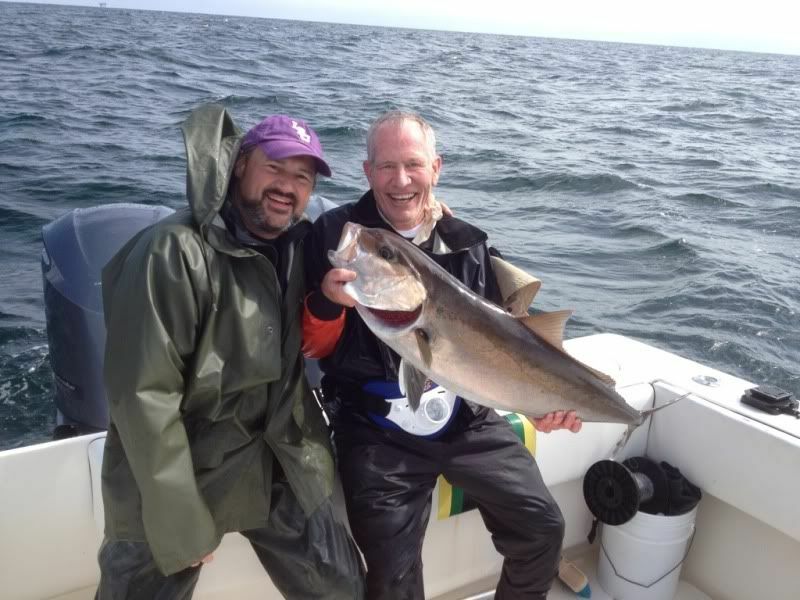 On monday I had my good buddy Paul Groves and his friend artie on the boat. Being that it was the day after the superbowl they didnt want to leave too early. We pulled out about 830 and stayed on the shelf. Hit a couple rigs with no luck before we dropped a jig and got our limit of jacks. Continued on down the shelf looking for wahoo and finally got a pair in aroiund 400 feet of water. One went 60 pounds and one went 75 pounds. We found a school of blackfin busting mullet and caught six on frenzy poppers. 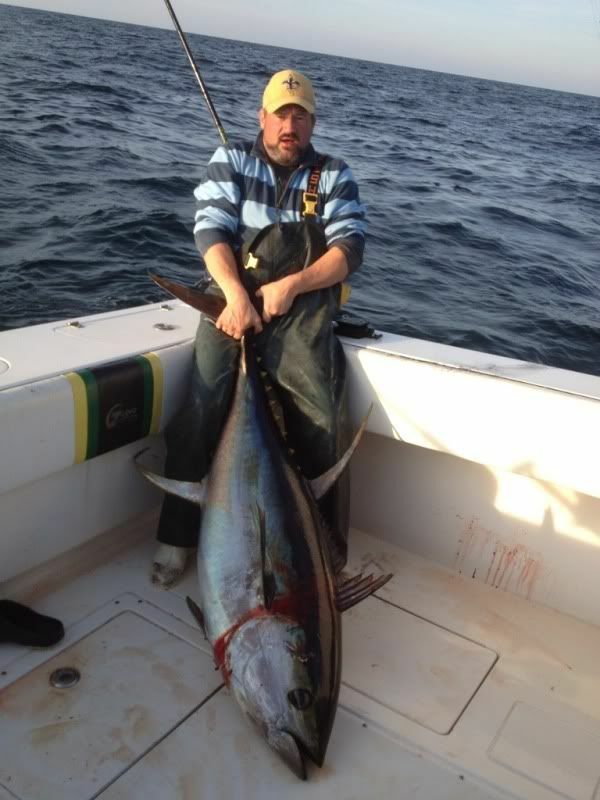 DAy two with paul was a tuna day. We got our ajs early and then headed over to chunk on the way we hit a shrimpboat and caught a bunch of blackfin and got some great video footage. 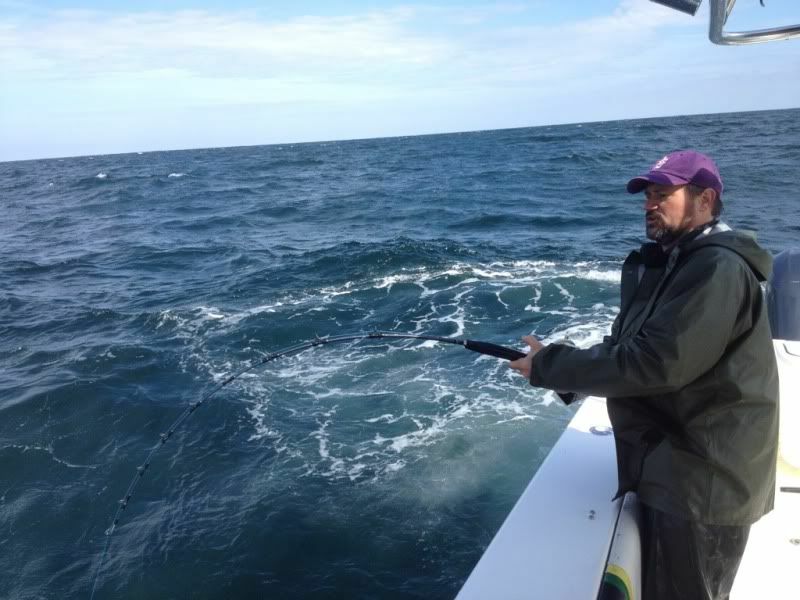 First few drifts at the tuna spot I was marking plenty of fish but no love other then then a pair of bf on the chunk. Round mid afternoon we got a 20 pound yf on the chunk then the next bait out got smoked. Broke that fish off but hooked up again instantly and after a 30 minutes battle Paul put a 102 in the boat. A little while later we put a wahoo in the boat on the chunk. 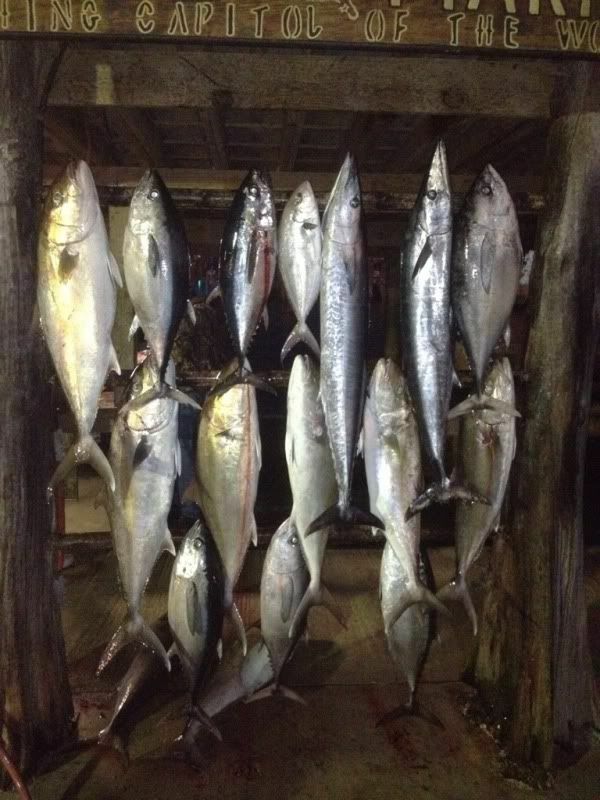 At the end of the day the tuna went off and we doubled up twice on yf to end the day with the big boy going 135 pounds. 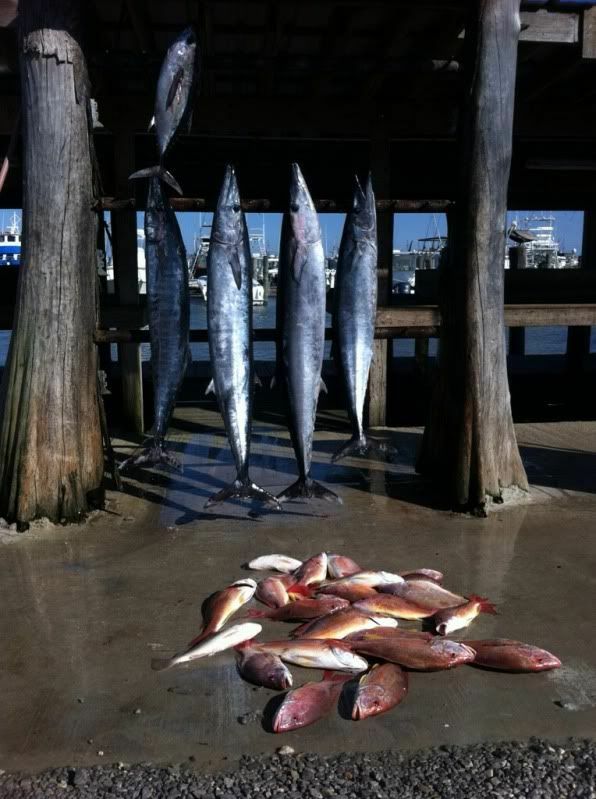 The last pic is from a trip Lee ran for me where he got on the wahoo early and finished up with a pile of lane snapper.